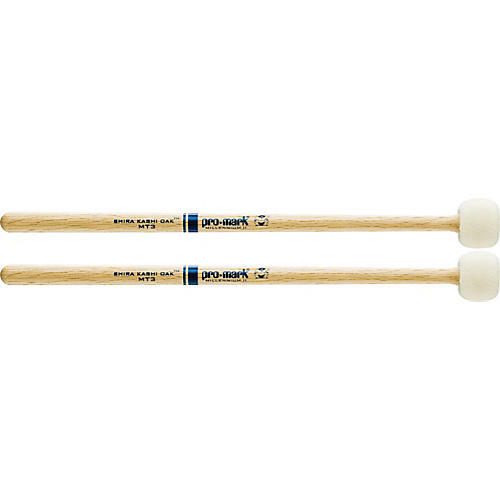 Great, all-around mallet with semi-hard felt head. Use the MT-3 for cymbal swells or general mallet work. Pair. Used by Justin Benner of Hawk Nelson and Plumb, Oscar D'Auria of Afro Tango, Kevin Hill of Almost Green and 2nd Coming, Randy Lane of Pat Travers Band and No Address, Lil' Shawn Lee of Chrisette Michelle and Missy Elliott, and Michael Reed of Berkner High School.